Amazon.com Price: $11.86 (as of 2019-04-25 14:07:04 GMT) Product prices and availability are accurate as of the date/time indicated and are subject to change. Any price and availability information displayed on Amazon.com at the time of purchase will apply to the purchase of this product. Your cupcakes are the center of attention with this small silver spiral dessert stand. 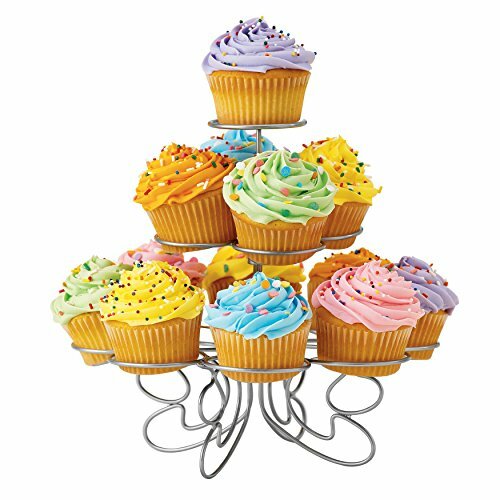 Spiral metal cupcake stand displays up to 13 cupcakes at the perfect angle for viewing. Complete assembly instructions included. 68 Count Girls Pampers Easy Ups just $11 Shipped!